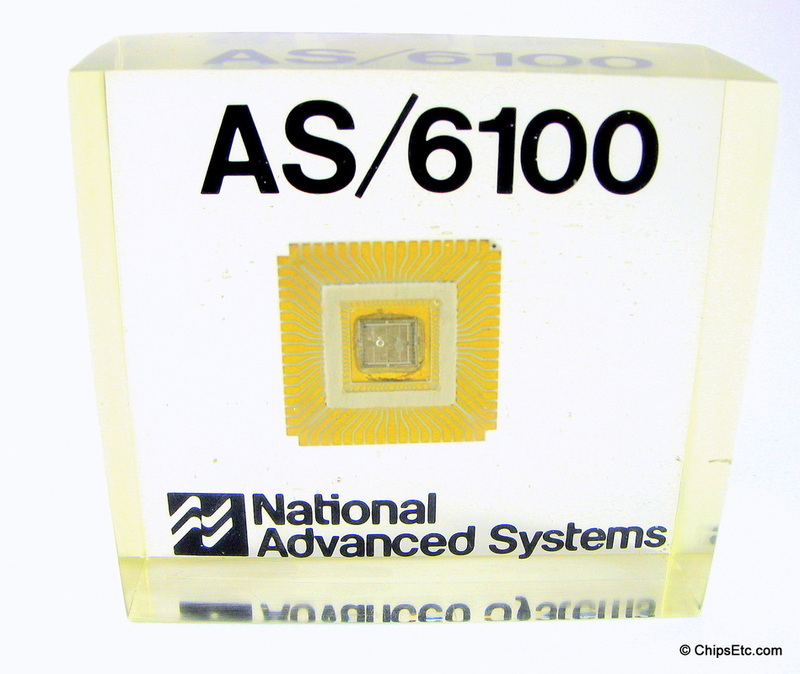 The AS/6100 microprocessor, released in 1982, was the brains behind the National Advanced System (NAS) AS/XL mainframe computer system. 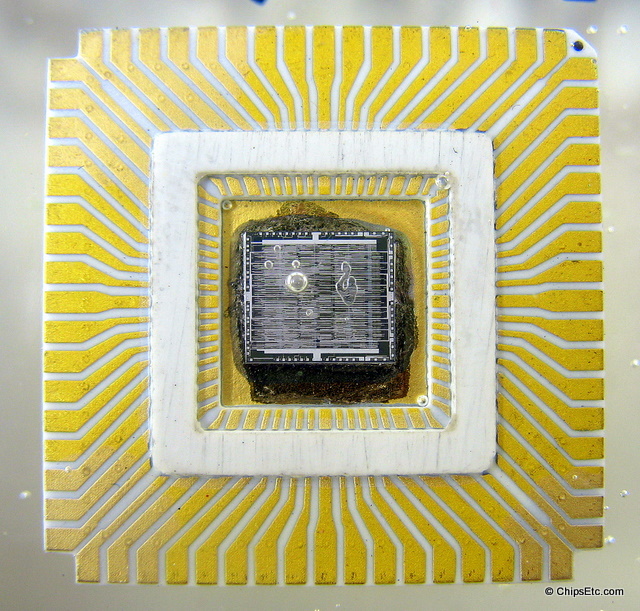 NAS was a subsidy of National Semiconductor. 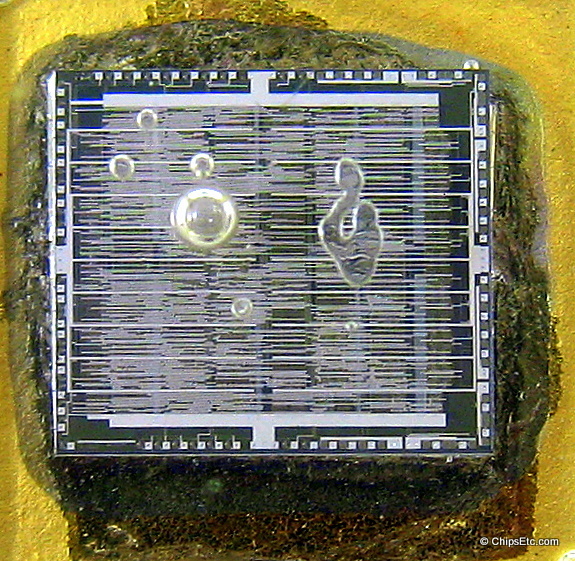 The AS/6100 logic chip used VLSI technology and was manufactured on 4" wafers by Motorola using their 1200-gate MECL 10K Emitter Coupled Logic (ECL) Circuitry. 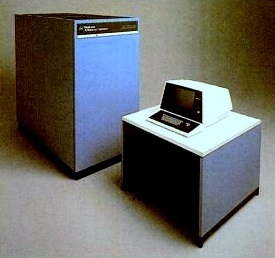 The AS/XL Computer System was designed from scratch to compete with the IBM 4341 Mainframe Computer system. By 1983 NAS stopped production of it's mainframes and became a reseller of Hitachi made mainframe systems. In 1989 Hitachi Data Systems was founded when Hitachi Ltd. & Electronic Data Systems (EDS) acquired National Advanced Systems from National Semiconductor. 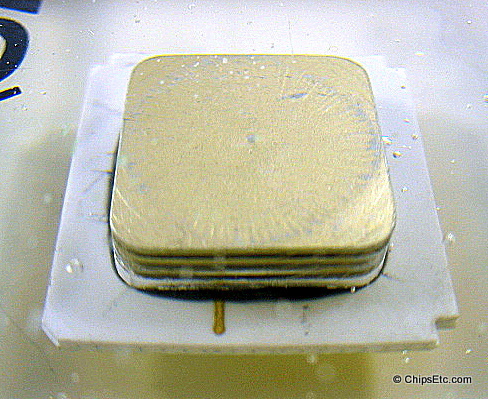 Clear Lucite paperweight contains an actual NAS AS/6100 white ceramic processor with heatsink.